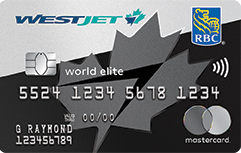 Rewards Canada: WestJet RBC World Elite Mastercard changes now live - Lounge Access, Concierge Service and a new look! WestJet RBC World Elite Mastercard changes now live - Lounge Access, Concierge Service and a new look! As reported back in August the WestJet RBC World Elite Mastercard would be undergoing changes and those changes are now live! For the most part the changes are good however with change there has to be some compromise so to cover all the new benefits the annual fees on the cards are increasing. WORLD ELITE ONLY: Mastercard Airport Experience provided by LoungeKey. Includes: Access to 800+ worldwide airport lounges. Members will need to download the app and link a credit card to it to pay for lounge entries. Entry to any of the lounges will cost $27US per entry/person. WORLD ELITE ONLY: Access to exclusive offers to airport retailers, including duty free shops; exclusive member access to the Mastercard Airport Experience app. 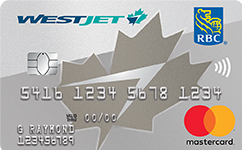 Of course nothing else changes on the card, the 250 WestJet Dollars bonus, Companion Vouchers, and First Bag free all remain on the World Elite card.